Kids of all ages enjoy this classic Leaping Lizards game. The goal is simple: land as many lizards on the toadstool by catapulting them with a hammer! 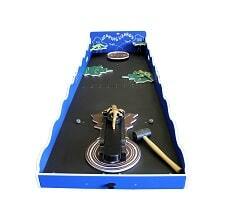 Game includes 3 lizard and soft rubber mallet.